Roof Cleaning | Roofing Services | Homestead Roofing Co. Millions of homeowners have roofs that are dirty, covered with moss, algae, lichens, and mold that are slowly eating away at your roofing material. If you talked to a roofer right now, they’d tell you that you most likely need a new roof. The truth is, your roof probably only needs to go through a really good cleaning. Did you know that the ugly black streaks on your roof can be safely treated and cleaned? Your roof is the first line of defense against wind, rain, snow, and ice. But many dirty roofs and roof problems such as algae, mildew, and mold can be solved with a thorough roof cleaning – not a roof replacement. We take pride in our honest and reliable service and only recommend roof repairs and roof replacement when it is absolutely necessary. Homestead Roofing’s roof cleaning services will make your roof look new again! Use our roof washing service to remove black streaks, mildew, mold, and lichen. Enhance the curb appeal of your home. 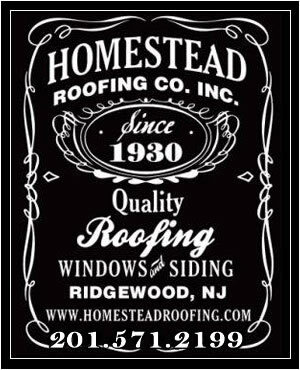 Homestead Roofing services the Ridgewood, New Jersey, and its surrounding areas! 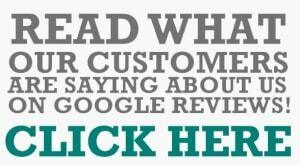 Why Choose Homestead Roofing to Clean Your Roof? Why Do I Need Professional Roof Cleaners? Roofs are designed to last many, many years exposed to the elements like rain, wind, and water but unfortunately moss, algae, mold, and lichens prevent your roofing material from properly doing its job. Professional companies that specialize in cleaning roofs, like Homestead Roofing, can make sure your roof is thoroughly cleaned and rid of mildew, mold, and lichen and look new again. We can also assess your roof for any possible damage. It wasn’t until recently that’s started to become a widespread problem with insurance carriers refusing and threatening to terminate insurance coverage on homes that have excessively dirty roofs. Our roof cleaners use the best materials with the best warranties from the leading brand names in the roofing industry. We offer the best roof cleaning services in the Ridgewood, New Jersey area and we have been cleaning roofs for residents of the area for over 85 years. Need More Than a Roof Cleaning? We have a large selection slate roofs, shingle roofs, and flat roofs for your home — visit our showroom in Ridgewood, NJ or contact us for more information. We provide free estimates for all our residential and commercial roofing services.